Sarah Nader- snader@shawmedia.com Cary-Grove's Katie Conner (left) and Prairie Ridge's Alexis Petersen fight for control of the ball during the first half of Thursday's game in Cary April 24, 2014. Prairie Ridge defeated Cary-Grove in overtime, 1-0. 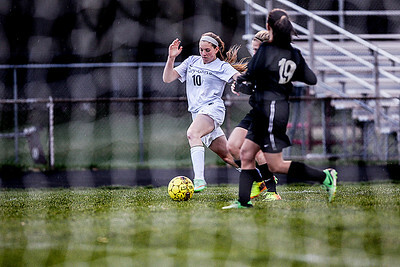 Sarah Nader- snader@shawmedia.com Prairie Ridge's Larissa Dooley kicks down field during the first half of Thursday's game against Cary-Grove in Cary April 24, 2014. 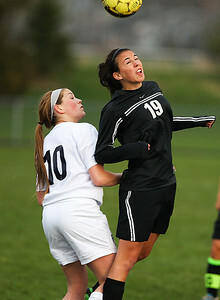 Prairie Ridge defeated Cary-Grove in overtime, 1-0. 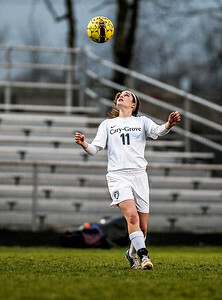 Sarah Nader- snader@shawmedia.com Cary-Grove's JJ Baily heads the ball during the second half of Thursday's game against Prairie Ridge in Cary April 24, 2014. 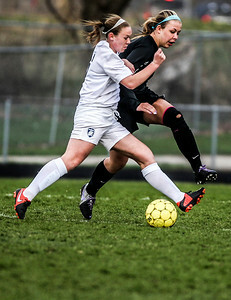 Prairie Ridge defeated Cary-Grove in overtime, 1-0. Sarah Nader- snader@shawmedia.com Cary-Grove's Genna Sobieszczyk (left) aims for the goal during the second half of Thursday's game against Prairie Ridge in Cary April 24, 2014. Prairie Ridge defeated Cary-Grove in overtime, 1-0. 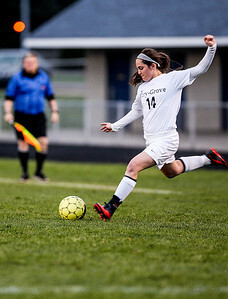 Sarah Nader- snader@shawmedia.com Cary-Grove's Ellie Baily kicks the ball down field during the second half of Thursday's game against Prairie Ridge in Cary April 24, 2014. Prairie Ridge defeated Cary-Grove in overtime, 1-0. Sarah Nader- snader@shawmedia.com Prairie Ridge's Shannon Patinella heads the ball during the first half of Thursday's game against Cary-Grove in Cary April 24, 2014. Prairie Ridge defeated Cary-Grove in overtime, 1-0. Prairie Ridge's Larissa Dooley kicks down field during the first half of Thursday's game against Cary-Grove in Cary April 24, 2014. 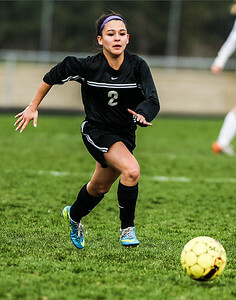 Prairie Ridge defeated Cary-Grove in overtime, 1-0.